::B2B marketers that use blogs receive 67% more leads than those that do not. :: Companies who blog receive 97% more links to their website. :: Blogs have been rated as the 5th most trusted source for accurate online information. 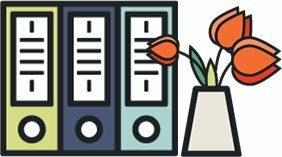 But how do you ensure that your blog is not just an information storehouse but a sales-boosting machine without turning people off? By sharing content that your buyers want to read and would love to share. For instance, if you own a kids toy store, then sharing birthday party planning tips will be a post your customers will love to read and share. You can always include products from your store as party favors, gift ideas or décor elements. Blogs are perfect for spicing up the sales with just the right personal touch. 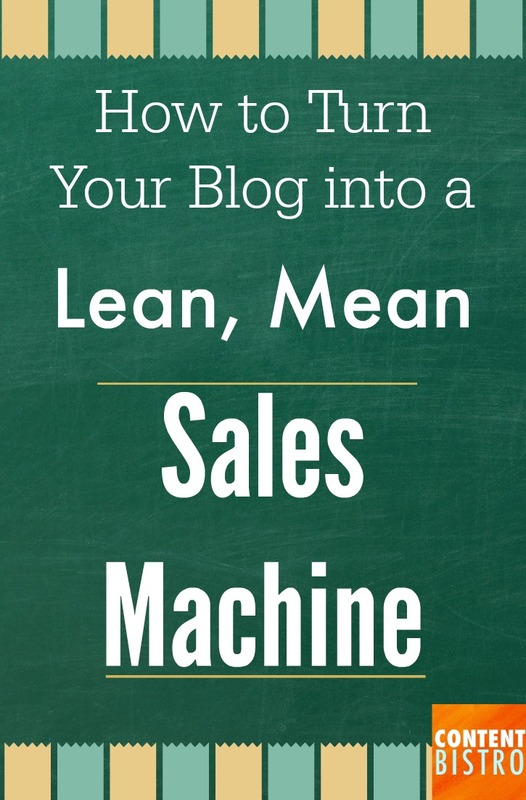 If you have your copy of The Blog Brew or The Content Cookbook, you already have a ton of traffic-boosting, sales-supercharging strategies, literally at your fingertips. Flip either of these babies open and start working on them one by one. 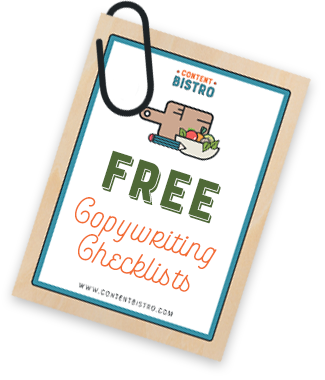 If you don’t well, now’s a good time to get them 😉 but otherwise, start by brainstorming a bunch of topics that your “delight-to-serve” customer will WANT to read about. Download a handy brainstorming printable here. Next, commit to blogging consistently and with attention to quality for at least 6 months. Yes, that is the minimum amount of time before you’d start seeing tangible results. There are exceptions to the rule but 6 months is generally the tipping point for most small business blogs. 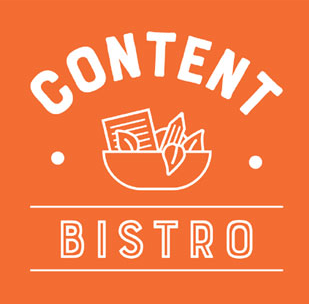 Now, head over to The Biz Bistro and share what’s YOUR niche and what are the 3 topics that YOU will write about next. 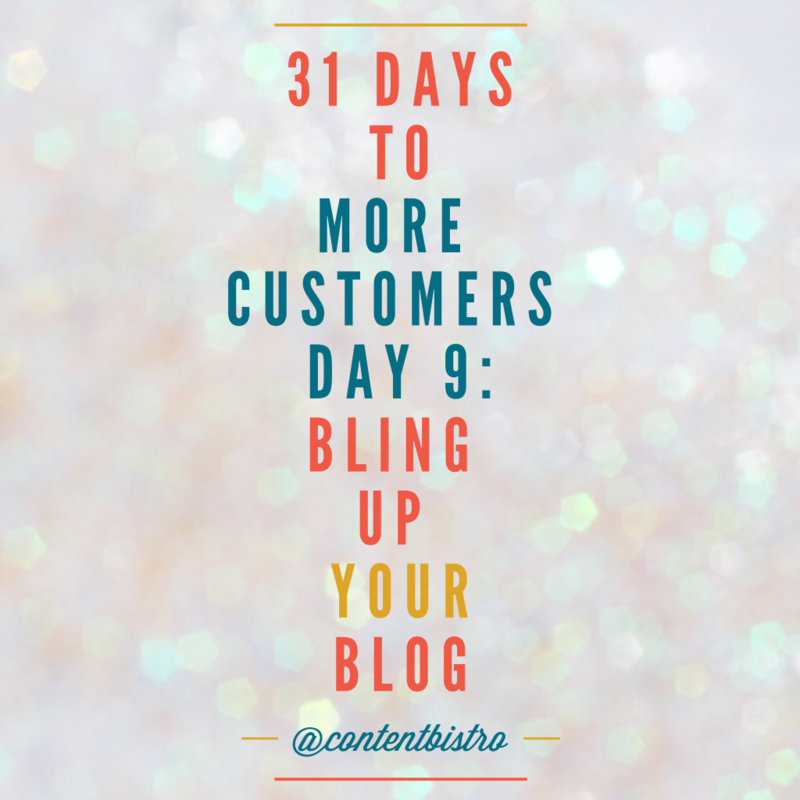 Don’t forget to tag @Contentbistro on Instagram with the #GetMoreCustomers hashtag and share your progress as well. Tomorrow we’re turning the spotlight on! Yep, fun times. So head back here for Day 10 for the 31Day Get More Customers challenge and if you’ve missed a day in between, click here to get all the tips in one place.